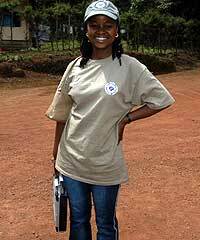 This will begin the dispatches for the December 21  January 4 McCauley / Coz Family Adventures in East Africa . 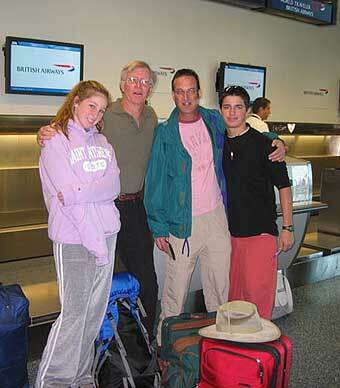 Bill and Tierney McCauley and Steve and Joey Coz left Florida for Africa on December 21. This group of intrepid adventurers will attempt to climb Kilimanjaro via the Machame Route over the next week. 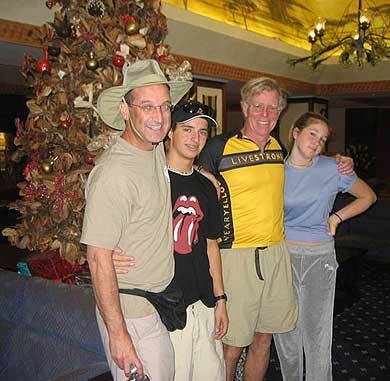 Then Bill and Tierney will come quickly off the mountain and head back home via Nairobi while Steve and Joey will be met by the rest of the Coz family, Val, Katie and Emma, for a Berg Adventures Safari in wilds of Northern Tanzania. We look forward to posting reports from the teams as they come in to our office. This morning, Christmas Eve, Angel, from the BAI office called us to say that Nicholaus and the team had gotten safely out to the mountain and begun their climb from the Machame Gate. Angel, Anna and the rest of the Berg Adventures Tanzania team will be working to relay photos as well as news from the team as their climb of Kili progresses over this next week.